to seeing this organization through to carrying out our mission and I’m committed to getting results. 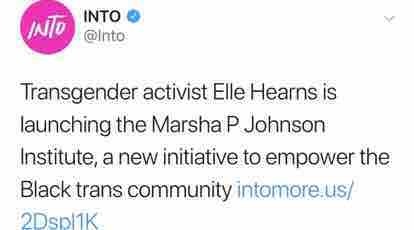 I am asking you to commit to the movement that Marsha started so long ago. Let’s not allow hateful demonic history to exist when we have the opportunity to stand in our glory to evolve the work of our ancestors who are watching and demanding for us all to get it right. Thank you for contributing to our campaign. We’re grateful to have your support. And because we’re always thinking of our future we couldn’t imagine it without hearing from you. If you could complete our survey (follow the link below) it’ll help shape our agenda and keep us close to you so we can keep you up to date with all things MPJI as we get closer to our upcoming launch. Feel free to contact us at info@marshap.org with any inquiries,ideas,or questions.